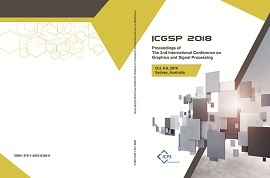 2019 The 3rd International Conference on Graphics and Signal Processing (ICGSP 2019) provides a scientific platform for both local and international scientists, engineers and technologists who work in all aspects of Graphics and Signal Processing. 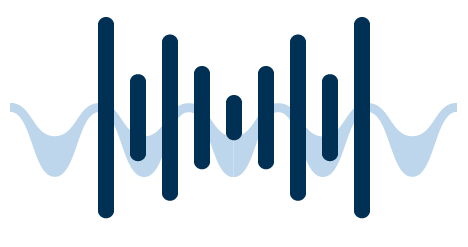 It aims to be a prime international forum for both researchers and industry practitioners to exchange the latest fundamental advances in the state of the art and practice of graphics and signal processing, identify emerging research topics, and define the future of Signal Processing. Papers that present original work, validated by experimentation, simulation, or analysis, are solicited. Practical experiences and experimental efforts from both industry and academia, duly documenting the lessons learned from test beds, field-trials, or real deployments, are also welcomed. 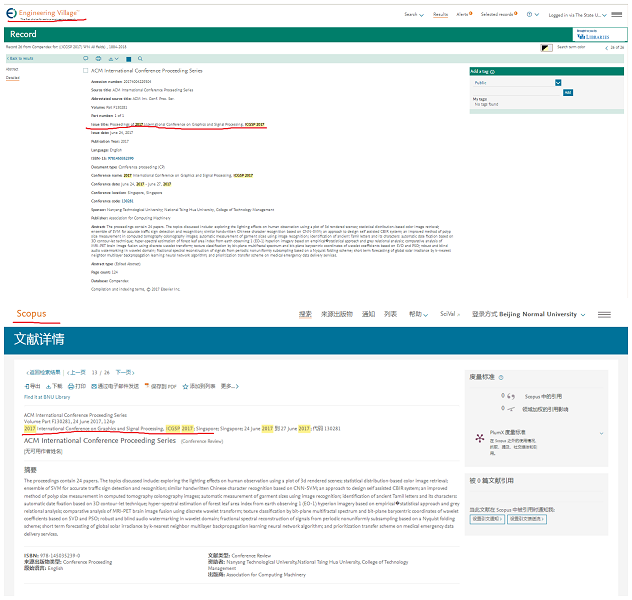 Accepted conference papers (full paper only) after authors' attendance will be published in the conference proceedings, which will be online and indexed. ICGSP 2018 accepted full papers published by ACM (ISBN: 978-1-4503-6386-0) online available and indexed by EI Compendex & Scopus. ICGSP 2017 accepted full papers published by ACM (ISBN: 978-1-4503-5239-0) online available and indexed by EI Compendex & Scopus. News! Welcome Prof. Huang Lianfen, Prof. Hon K. Kwan, Prof. Rosalee Wolfe and etc experts to join the committee. News! ICGSP 2019 will be held in Hong Kong during June 1-3, 2019. Welcome to join us. News! ICGSP 2018 papers will be published by ACM conference proceedings (ISBN: 978-1-4503-6386-0). News! 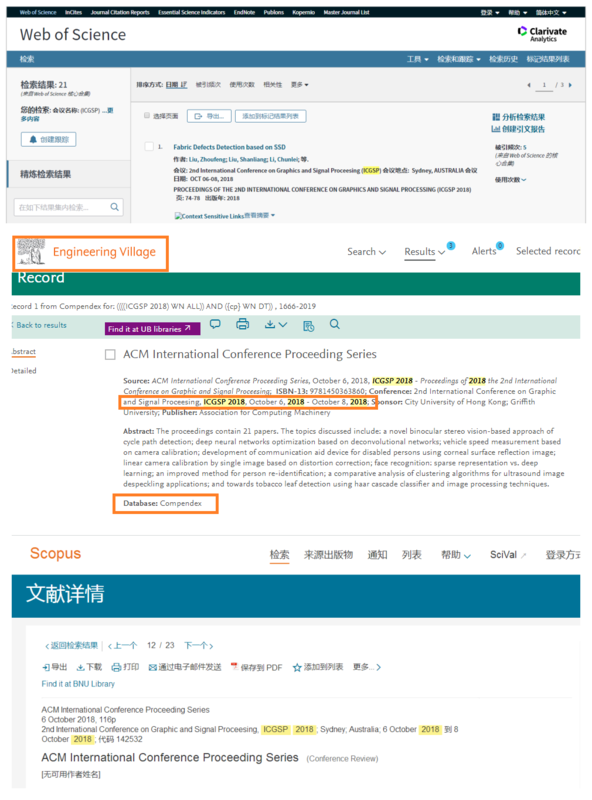 ICGSP 2017 proceedings indexed by EI Compendex & SCOPUS. News! ICGSP 2017 proceedings online available! News! Singapore conference has been held successfully. Thanks for your participation. See you next year! ICGSP 2017 conference will take place at Singapore, June 25-27.